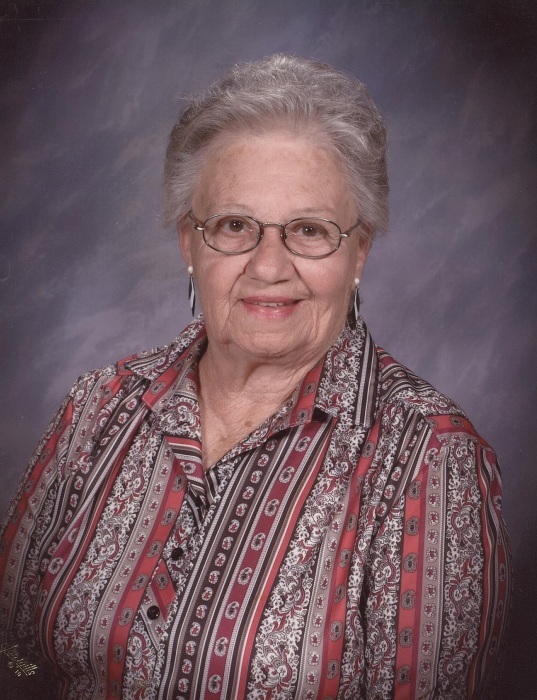 Donna Jean (Austin) Butts, longtime Sherman County resident, passed away at the Greeley County Long-term Care Facility in Tribune, Kansas on Wednesday, January 16, 2019 at the age of 84 years old. She was born in Ruleton, Kansas at the home of her Maternal Grandparents Smith, on July 28, 1934, to Charlie and Hazel (Smith) Austin. Donna attended school from grade school through most of high school in Goodland, Kansas. She later obtained her GED. She attended NWKTC in the Secretarial course. She also attended Colby Community College in the Nursing Program. Donna entered into marriage to Ralph Mitchell on October 14, 1950. To this union, three children, Donna, Charles and Kenneth were born. She entered in marriage with John Butts on May 16, 1959. To this union, three more children, Kevin, Daniel and Scott were born. During her lifetime, Donna was employed at Steiner’s Drive-In, the Sherman Theater, the Shamrock Restaurant, Boothroy Memorial Hospital, Goodland Regional Medical Center, Gibson’s and sold Avon. Donna was preceded in death by her parents, a brother Charles Dale Austin, both of her husbands, a son Daniel Butts and a great-granddaughter Darcy Lynn Miller. She is survived by her sister, Joyce Elaine (Bill) Rogers of Denver, Colorado, her children, Donna Miller of Goodland, Kansas, Charles Mitchell of Emporia, Kansas, Kenneth (Karen) Mitchell of Arvada, Colorado, Kevin Butts of Goodland, Kansas, Scott Butts of Colby, Kansas, 17 grandchildren, 18 great grandchildren (with one more on the way) and 2 great-great grandchildren, several aunts, uncles, cousins, nieces and nephews. Family was the most important part of Donna’s life. She collected many pictures and proudly displayed them on the walls and shelves in her home. She was excited to attend a school program, musical, sporting event or dance recital of her children, grandchildren and great grandchildren, even if it meant traveling out of town to attend. She was always there to cheer them on.